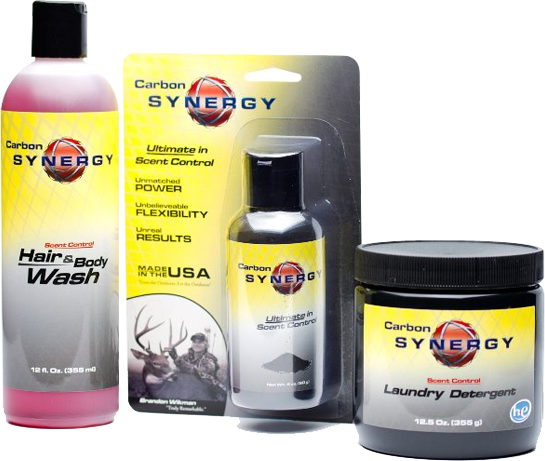 Carbon Synergy is where anti-microbial silver meets the odor absorbing power of activated carbon! 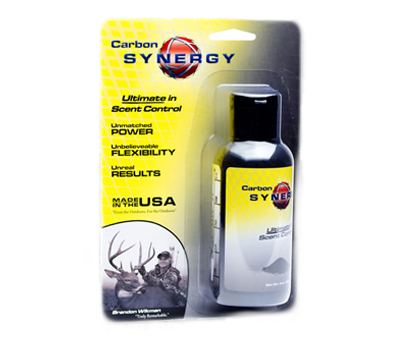 Dry – Dust carbon synergy anywhere you need instant scent control! Boots, packs, clothing and even on your skin! Rinse- Use the scale on the bottle to mix Carbon Synergy with water (in gallons) and simply rinse any garments or items and hang them out to dry! No need to soak. Just in and out and the activated carbon and silver will become embedded into the fabric allowing for long term scent control and microbial protection! Did not use all of your rinse? No problem! Seal it up for next time! Effective to the last drop! Get Creative- Yes that is a direction for use! Activated carbon absorbs odor like nothing else and silver provides long lasting antimicrobial protection. You hold the raw undiluted form in your hand, sky is the limit!